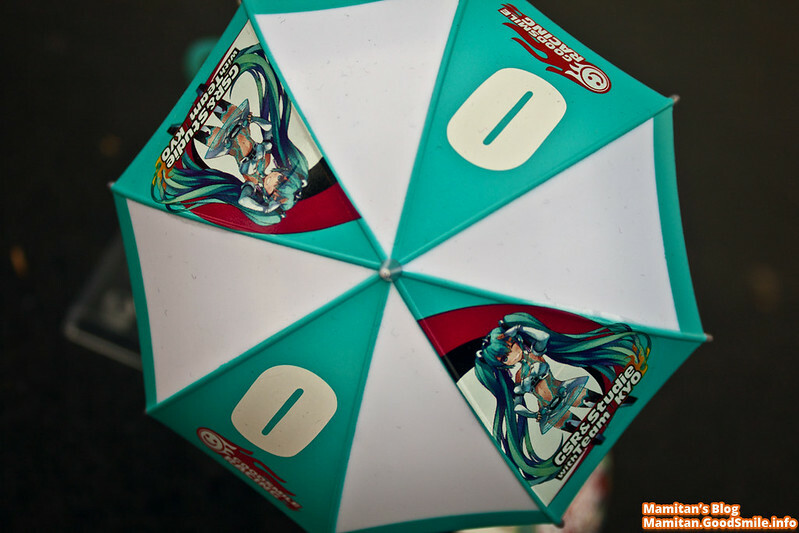 Racing Miku 2013, Good Smile Racing Sponsorships are open! 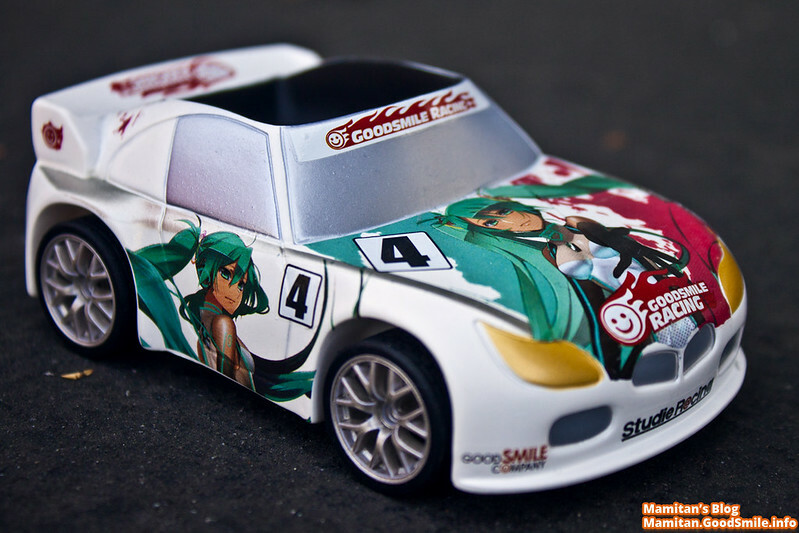 Racing Miku 2013 is now out for pre-order! 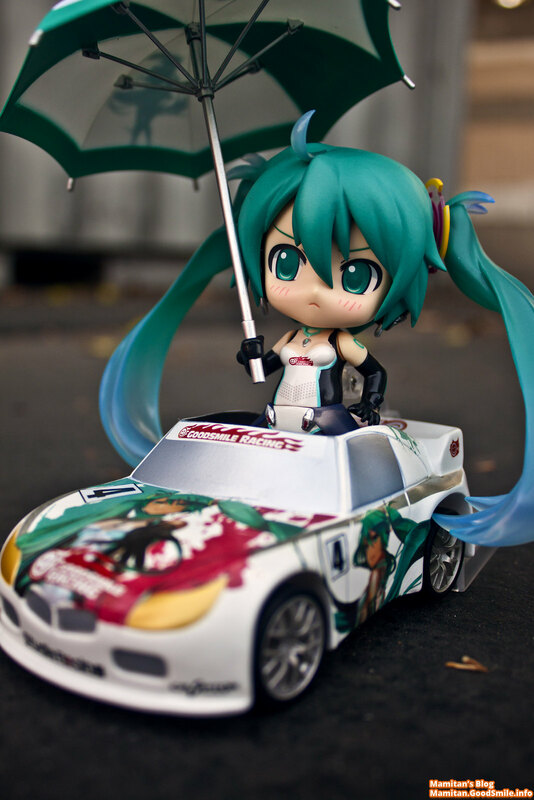 Like all the Racing Miku Nendoroids the only way to get her is to become a sponsor of Good Smile Racing! By becoming a sponsor you have different tiers of sponsorship available to you! 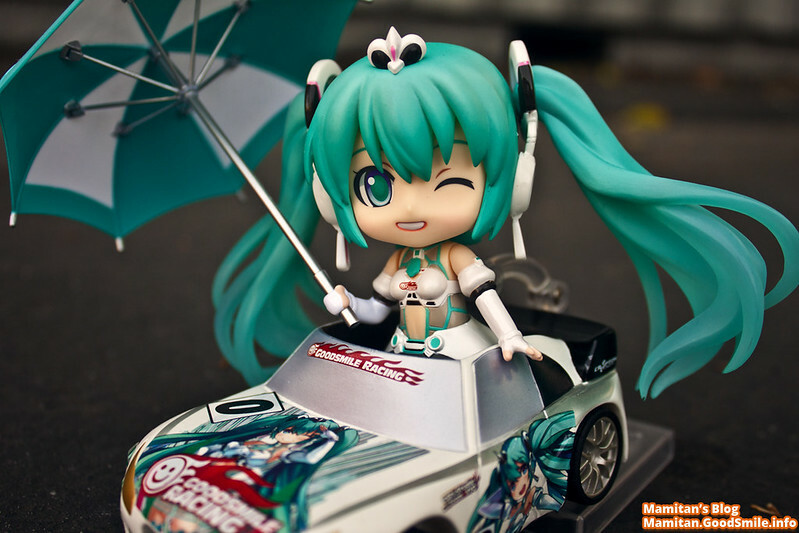 In the photos here however these are the past Racing Miku Sponsorship Nendoroids! 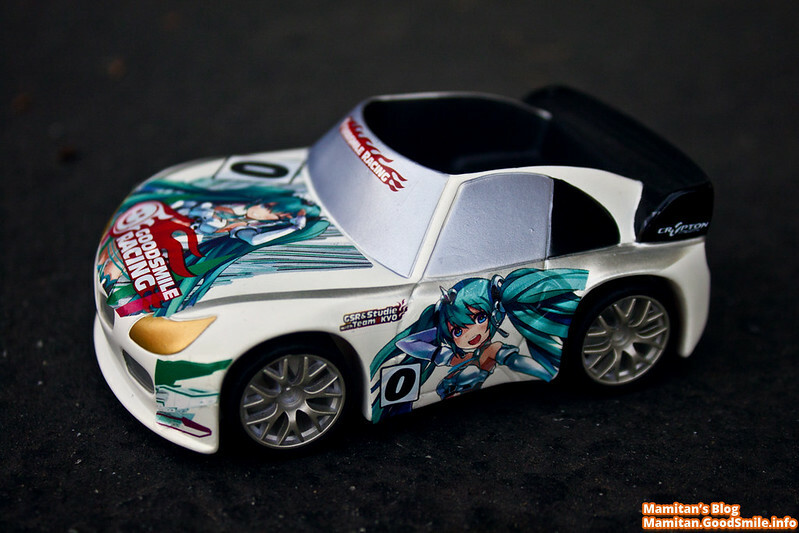 Racing Miku 2011 and 2012 version! 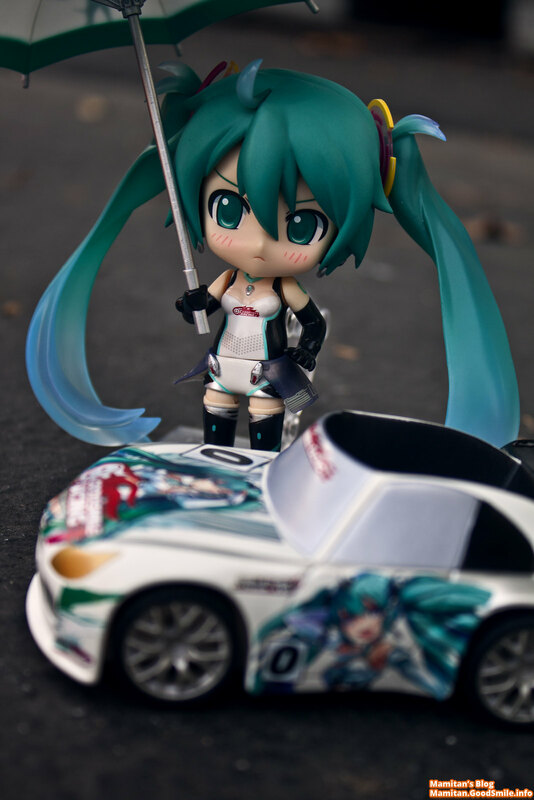 While photos of the prototype of Racing Miku aren’t out yet you can be certain she’ll be just as cute if not cuter than there two versions! Each version also comes with it’s own car and a set of decals you can use to decorate the car yourself! It’s really easy too! I am normally terrible at lining things up but placing these decals was easy and the cars look awesome! This is my handwork you see here on 2011′s car! As you can see the designs are similar but also quite different each year as apparent here by 2012′s car! Past Nendoroids even came with adorable umbrellas for them to hold as well! Racing Girls are standing outdoors all day, so they need to protect themselves from the sun too! 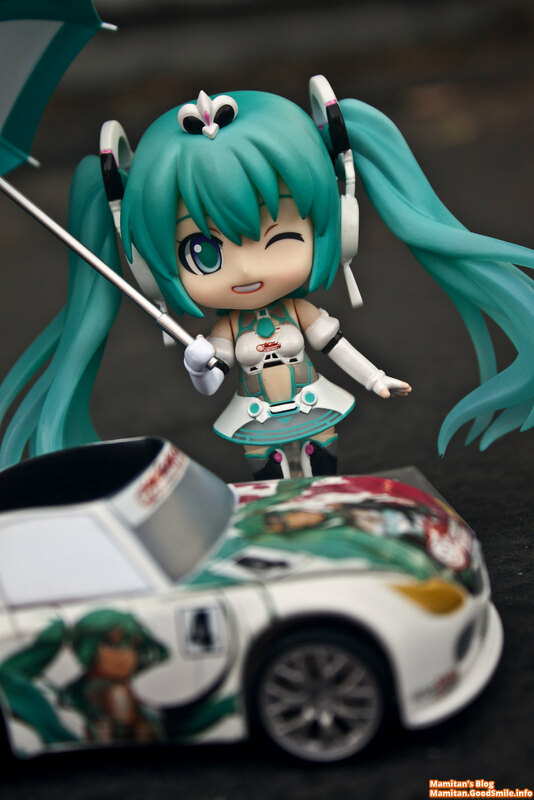 There are 4 different ways you can get the Racing Miku Nendoroid and I’ll break it all down for you here! As mentioned the way it works if you become an Official Sponsor of Good Smile Racing. As a thank you for being a sponsor you get certain perks. The perks increase depending on how much you sponsor! Each Nendoroid is adorably designed and the extra goodies are really all amazingly made! Everything is made of top quality materials! Nothing but the best for our sponsors!! But please do keep in mind, these are only available for a short period! Once the Sponsorship Period if up you won’t be able to order these Nendoroids! Plus you can ONLY get them by becoming a sponsor! The Sponsorship period is available from now until May 7th 2013 12pm JST! So also please keep in mind what time this is in your time zone! Is it known how large the tapestry from Course D will be? Let me ask and I’ll post the size once I have confirmation! Any chance you can tell me what the replica suit is made out of? i really wonder if this 2 item is useful or not ? what for, except for showing off that we’re sponsoring the miku ? Ah, both versions are so adorable! I wish I could afford to sponsor and get one! I apologize for asking another question, but what would the approximate size of the ‘waist bag’ be? Length * width * depth?